When choosing a mascara, there are a lot of points to consider. Can it give enough volume, length, strong curls, no smear, no running…the list goes on and on. And then, you have to look at the endless names of the cosmetic brands, such as Maybelline, L’Oreal, and Lakme. It is not only you who feel overwhelmed by all the choices. So, here, we are going to explain what to keep in mind when picking a right mascara for you. 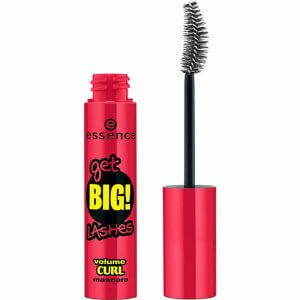 We will list our top 10 choices in mascaras, selected by comparing price, functions, customer reviews of popular mascaras. Let’s try to find the one for you! 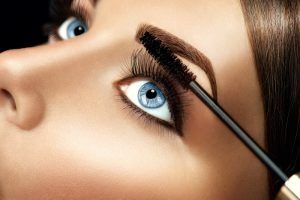 Mascara can help accentuate your eyes, and it is important to know what types of mascaras are out there. Each product, whether the type of a brush or a formula, has its selling point. We will explain the types of mascaras out there in detail. It might be helpful to think about what is the look/effect you want on your eyelashes. If we categorize mascaras into three, there are “water-proof type,” “tube type,” and “fiber type.” Let us explain each type to show which would fit your preference. Waterproof mascaras don’t smear and smudge easily with liquid, tears or sweat. This type is great when you are exercising and/or in summer. However, it isn’t so solid against skin grease. And, some waterproof mascaras are hard to wash off. These kinds might not work with your regular face wash. It might be better to purchase a make-up remover. 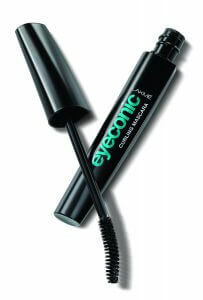 This type uses “tube technology” which coats lashes with water-resistant materials. It also works well against skin grease, and the best of all, it comes off easily with warm water. One drawback is the curl does not last as long as other mascara types. And warm water can be the weak point. You should not use it when swimming in a heated pool. This type has fine fibers in a mascara formula. And the fibers stick to lashes, giving length and volume. If you want your eyes to stand out, this type will work for you. There are waterproof mascaras with extending fibers. However, most of them are not so water resistant. And fibers can lump up easily too. Extra care when applying it on your lashes and cleaning a bit before putting it back can help this problem. Choosing a right mascara brush is another important aspect of making your lashes to your satisfaction. Depending on what type of a brush, you can see the subtle difference in application and volume. We will show you four different types of brushes here. You should be able to find the one that achieves the looks you want. The arching type is great for beginner mascara users with a quick and easy application. The shape is created to fit your lashes naturally, so that one brush can give your lashes volume. Another great point is you can apply it from the root of lashes. This type is recommended for volume and curling effect. If you want to give volume and work on the detail with one mascara, this is it. The shape is versatile; the middle section gives volume while the tip can be used to work on bottom lashes and the corners of your eyes. Work on Each Lash? Choose the Comb Type! This type works like a comb. 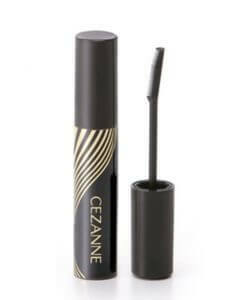 It applies the formula to individual lashes, accentuating the eyes well. And because of the shape of the brush, it does not lump up easily. If you want to have the natural looking curls, this is your type of a brush. The hourglass shape allows the uneven amount of formula application on your lashes. Because of this unique shape, you can control volume and length, and add curls easily. Another great point is that the ball-shaped tip can work on details. If you master this brush, you can do a lot with it, giving an artistic touch to your lashes. How do you want your eye lashes to look? You might have short lashes and are going for longer look. You might want to accentuate your eyes with adding curls. It all depends on what you want in the end. Every product has its selling points, and it will tell you with its package. “Volumizer” “Curls,” and/or “Long Lashes” can be some of the lines you might want to check. Every brand has its unique combination of formulas and brushes to achieve the finished looks. You really want to avoid raccoon eyes. 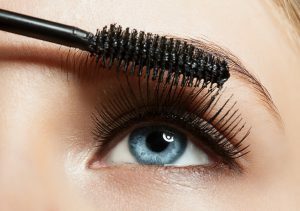 If sweating and crying make the mascara ran off, creating smudges around your eyes, you’d have to be checking your mirror constantly. So, it is important to choose the one that is grease/water resistant. If you are buying online or buying it for the first time, you wouldn’t know if the product is right for you. Don’t forget to read customer reviews. Now, we are going to list 10 most popular mascaras in India. We compared them according to their functions and customer reviews. Hope you can find one you like! 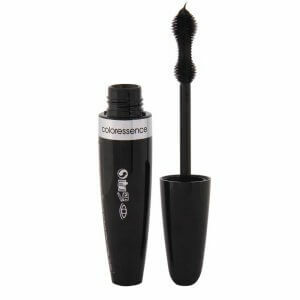 This affordable mascara from Coloressence has the ball-tip which allows you to apply the formula easily to lower lashes. Some people prefer to have only the upper lashes done. If you want to apply mascara to every part, this might work for you. Customers are happy with the price and the formula. It is water-proof and to give a good volume, the formula is on the creamy side. Some people find this to be bothersome. If you prefer the light type of liquid, this might not be your pick. All in all, for the price, it is a great purchase! 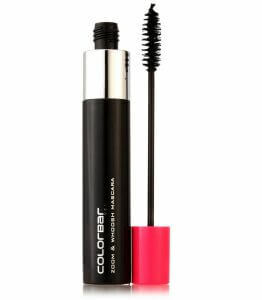 This fast drying mascara by Colobar is perfect for women who have no time to waste. The formula dries quickly to the shape you want giving volume and length. Customers love this product for how it can define lashes and not being so sticky. It means it dries pretty quickly. In other words, the formula tends to get dry in the container faster as well. You need to make sure to put the cap on tightly. If the formula is stuck on the lid and cannot close well, it is better to clean it time to time. No time to widen your eyes in waiting for your lashes to get dry? This might be your choice. 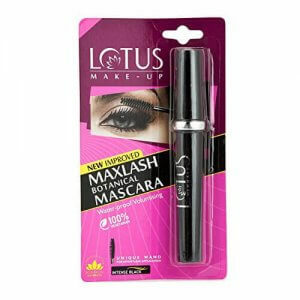 This mascara from Lotus Herbals is enriched with botanical extracts. This could be kind to your lashes depending on your skin type. It is natural, yes, but some people might be allergic to the ingredients. If you have had some allergic reactions to cosmetic products, make sure to check the ingredients. Customers love this product for the fact it has natural ingredients. However, because of this, some people find the formula to be less water-proof than some other products. If you are planning to go see a tear-evoking film, you might not want to use this one. 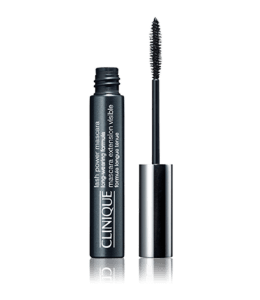 If you haven’t used a mascara much, then this product might be a great starter. The brush is curved so that it naturally covers your lashes without using any technique. The formula is great for giving volume and length instantly. A downside to what we just mentioned is, the formula can get chunky and dry easily. It is easy to apply but it can dry easily, too. So, if you are the type to take long time to get the perfect lashes, it might not work well for you. Another thing to note is that this is not water-proof. You want volume? This mascara will give you that. It is made to give thickness with the formula that is easy to wash off. It works on thicker lashes better, so if your lashes are thin or have more thin lashes than thick ones, you want this to be for the lower lashes. Easy to wash off means it tends to smear easily. You might want to be careful during the damp season, making sure you don’t touch your eyes. Customers who want the volume to their lashes are quite happy with the product. Depending on the lash type, it could make you look like you are wearing false lashes. Tears, sweat, humidity…nothing can be an issue with this mascara. This product by Revlon offers complete protection from water. The shape of the brush is a corn which means, you can work on the details, even the roots of lashes. So, water resistant is a good thing. But here is some points you should know. It does not smear, but it also takes more effort to come off. Your skin might not like how strong the formula is. If you have sensitive skin, make sure to try it first. 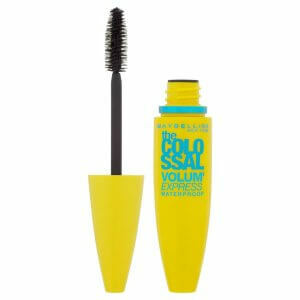 This popular product by Maybelline can make your lashes extra dark with both volume and length. It creates a dramatic look, which could be perfect for the special occasion. Customers reviewed this product high, noting the high performance: giving great volume and smudge-free. Even with oily fingers (of course, it all depends on how oily your finger is) do not smudge it off. However, this means it is hard to wash it off at the end of the day. If you have sensitive skin and does not want to stress your skin with extra washing, then this might not be it for you. 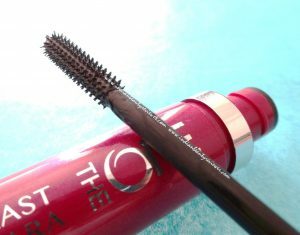 If you are looking for dramatic looks, this mascara is just perfect! If you want to work on the detail, you can also purchase an extra brush! Another perfect mascara for a beginner. It is affordable, and it gives great volume and length. The brush is a standard shape, which means it works well in the middle areas of your lashes. Customers are happy with the performance and the price. It is also smudge-free and waterproof. It is, however, does not come off easily with a regular face wash. You might want to get make-up wet wipes. 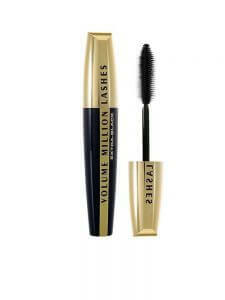 The special bristles on this mascara can give you amazing volume, even on thin lashes. 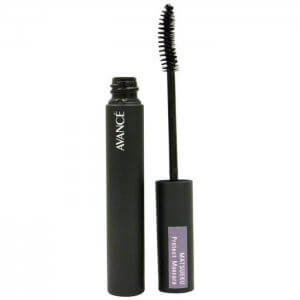 It does not clump up the lashes since the formula dries quickly. Customers raved about how much it gives volume and how easily it does. They tend to be repeating users, and are satisfied with the performance. Lots of customers mentioned how it is not waterproof, however. It might not work well with sweat and tears. This product can create natural but gorgeous lashes. It is not so cheap, but if you haven’t met the right product yet, it might be worth trying this one. This is one of the most popular mascaras in India. And there is a reason for that. Its brush is shaped uniquely to fit lashes perfectly. This means it can apply the formula evenly, giving volume. Customers are happy with the price and overall performance. The application is easy and comes off quickly, too. Some people find it a bit too dry, and how it does not last for a long time. This might be perfect for a quick application for a quick errand. 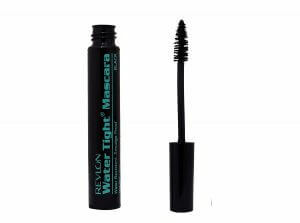 Since it is cheap, it might not be a bad idea to have this as your second mascara for a quick touch-up when you are outside. Who can argue with the price! Top Coat Can Help Mascara Last Longer! If you want to have your mascara last longer, then look into top coats. By applying another layer of a coating after mascara, you solidify the formula. You don’t need another coating in the middle of the day. 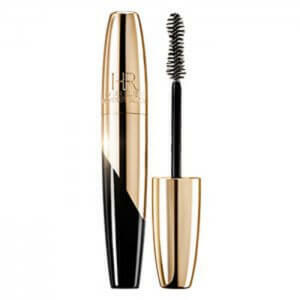 This is especially recommended if you are using the mascara that can smudge easily. So, how was it? Did this article help you in choosing the right mascara for you? What type of mascara you use can dramatically change the looks. Why not get the best kind for your lashes to create your best looks. Good luck!